This is a massive graphene synthesized with InALA process without using substrate/catalyst. 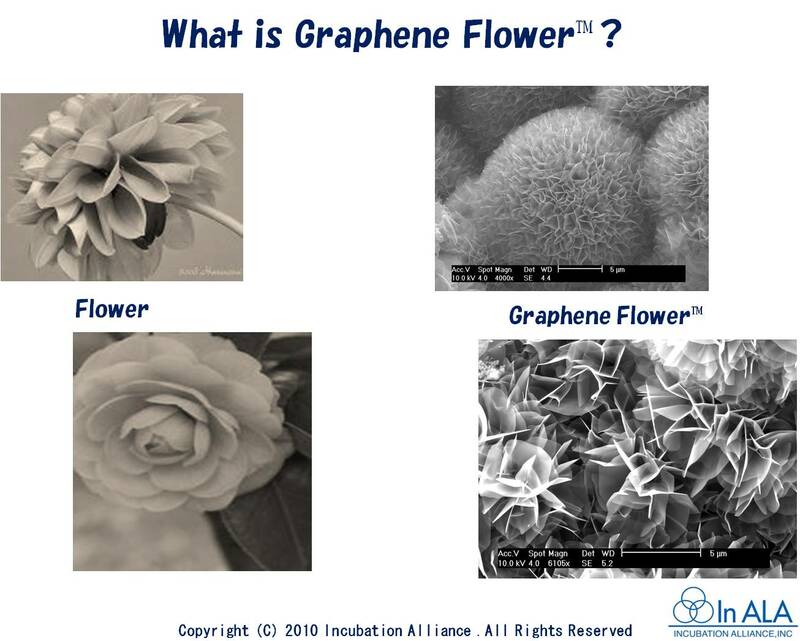 It is commercially named “GRAPHENE FLOWER” (registered trademark), since its shape immediately after synthesis looks like flowers. 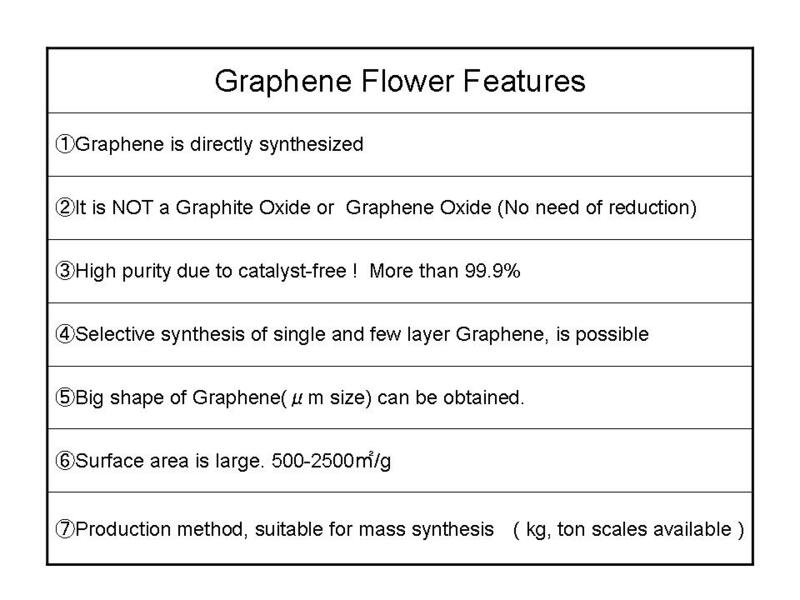 Each piece with the appearance of a flower petal is graphene piece. This is a directly synthesized graphene material based on bottom-up system, not that made by defoliation from graphite, etc. nor that made by expansion from a graphite intercalation compound. InALA process enables the direct synthesis of graphene with between monolayer to several layers. 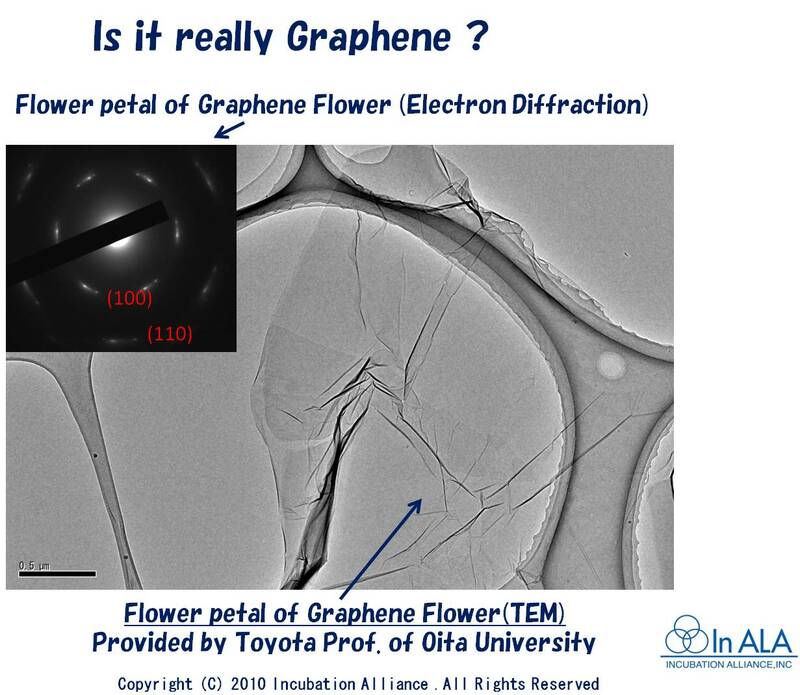 ◎This is graphene that has grown like flowers. 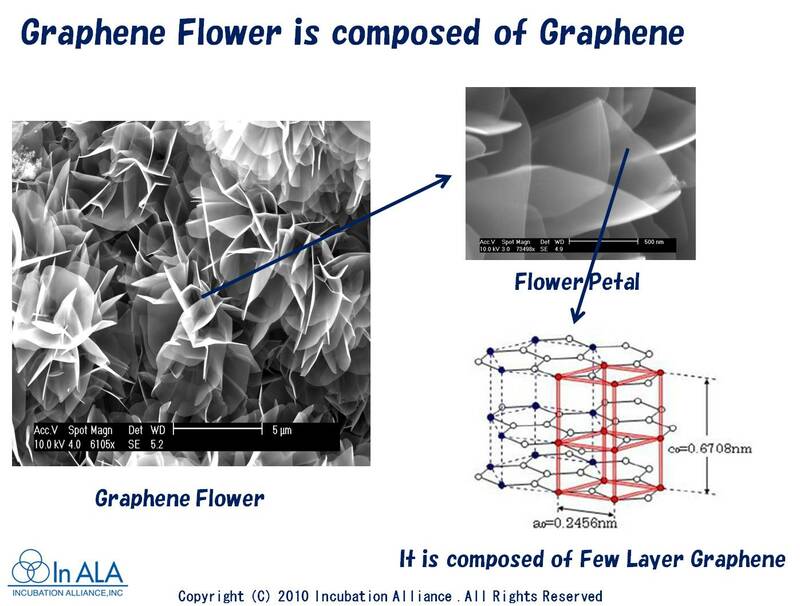 ◎Flower petals are made of graphene. ◎This is graphene with high crystallinity. 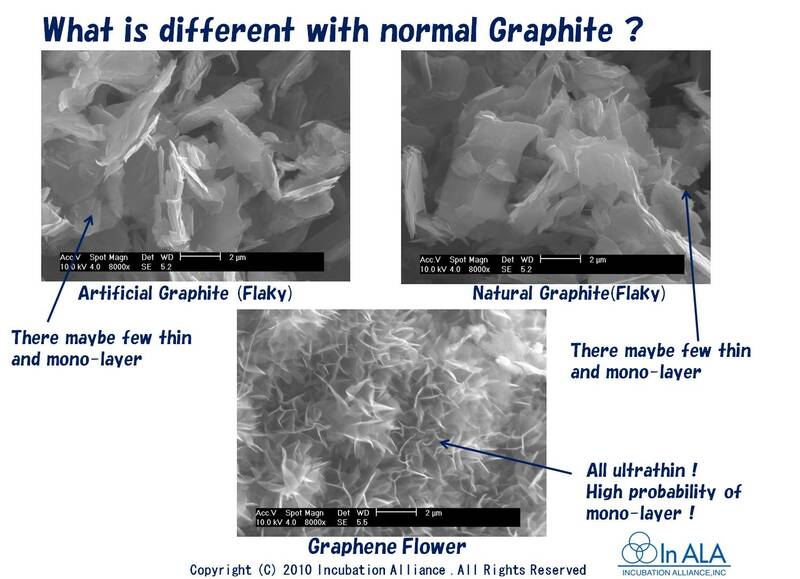 InALA process can selectively synthesize graphene.